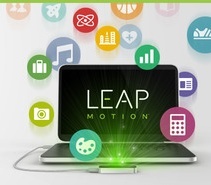 Leap Motion's 3-D Motion Control Tech launched today and the pre-ordered motion controllers are shipping. So I'm ready to take my #FirstLeap - I'm just waiting for my Leap Motion Controller that I pre-ordered to arrive. I'll post a product review once I get it and have time to give it a good going's over. Hundreds of thousands of people pre-ordered the $79.99 Leap Motion Controller, which the company began shipping last week. I haven't gotten any emails from them regarding my order status yet, the order status link in my order confirmation email does not work and they haven't charged my credit card, so I can only assume it hasn't shipped yet - Damn :-} But, I'll cut them some slack - it's their first product and they got a ton of pre-orders and interest. My Leap Motion controller arrived late today (it shipped on Wed, July 24). As soon as I can spend enough time trying it out, I'll post a First Look review.